Morning! I hope you guys are enjoying the fantastic weather we’re having. I truly do love travelling with my bicycle but even I crave some time in my own home so it was a real treat to spend a sunny weekend right here in Devon, even if I’m not in the best shape at the moment. I arrived back from Switzerland last Friday, unfortunately heading straight from the plane to the Minor Injuries unit for an X-Ray. Due to some epic incompetence that I won’t go into here (and I don’t mean my own) I’d had to fly out to the continent without having my hand injury properly looked at so it turns out I’d spent the week riding about with a broken thumb. No wonder it hurt. Unfortunately, there were no doctors to look at my X-Ray on Friday so I was sent away to await a phone call today, which I’ve just had. Turns out they need to see me again as I’ve damaged the ligament and the bone. But this time it’s me holding up the recovery – I’m off to the Dolomites this evening and can’t go back till next week. 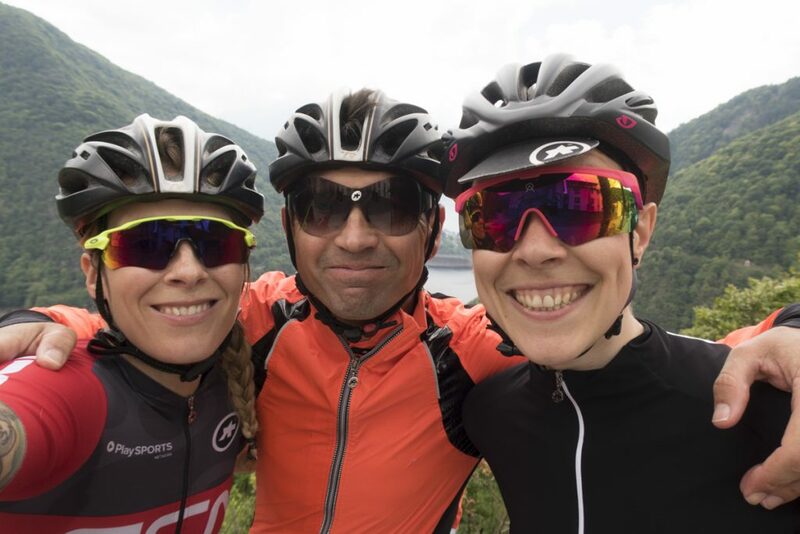 I flew over to Milan to visit my longterm sponsors, ASSOS who are based just over the border in Switzerland with a flagship store on the shores of Lake Lugano and a glamours headquarters in Stabio. I’ve been to the area several times before, initially to nearly Lake Como where Dave and I lived for a short while then laterally for video and photo shoots in Varese, Ticino, Sondrio and the surrounding areas. Situated on the southern most end of the Alps the area (which spans both Switzerland and Italy) is probably best known for it’s wonderful lakes and mild Mediterranean climate. Gorgeous lakeside towns with more than a hint of glamour line the shores of Lakes Lugano and Como so the area has gained something of a reputation as a rich person’s playground, quite possibly also thanks to its close proximity to fashion capital Milan. But the region is not actually all about flashy wealth. It’s also a fantastic base for exploring the surrounding mountains and forests as getting off the beaten track and into the wilderness doesn’t take long at all. 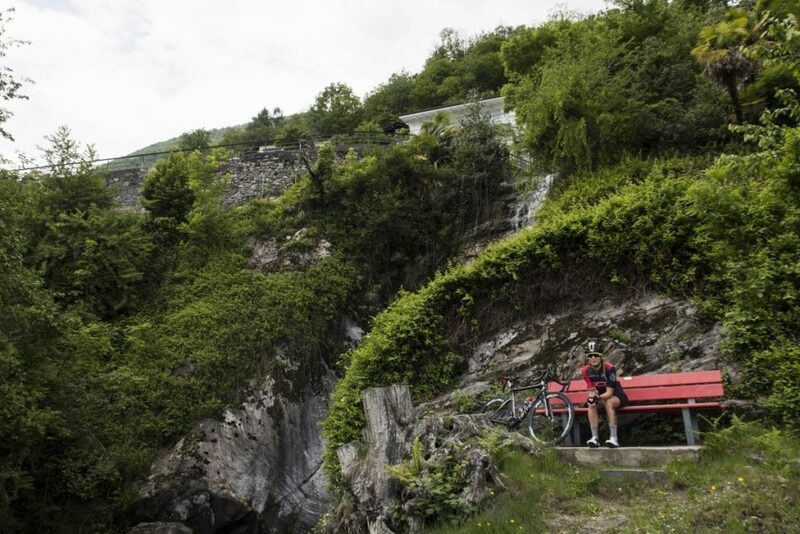 The roads following the lakes can get a little busy in the height of summer but there are many easy to access climbs that take you away from the shoreline and deliver a double whammy of views and seclusion. One of my favourite short climbs from Lugano up to Monte Bre is best tackled pre-dawn so the sun rises as you reach the summit. Usually when I go to visit ASSOS it’s for a video or photoshoot and we’re really busy so this time I made sure I had a full day put aside just for cycling. I could happily spend WAY more time than that in Lugano but I have neither the money nor the time. I though it would be nice to make another of my Local Loops videos, where a local shows me their favourite ride as it’s always nice to see an area from the perspective of someone that lives there. So I got in touch with the legend that is ASSOS Man and asked him if he could spare a little time to take me out on a ride. As I mention in the video, I didn’t actually know quite where ASSOS Man aka Andrea Zamboni actually lived (DUR!) so it was a stroke of luck that he lived fairly close the where I was staying in Italy. My friend Dalany and I jumped in the car to head over to Lake Maggiore, which was an unexpected treat for me as I hadn’t yet visited that particular body of water. And guess what? It turned out to be another Swiss gem (mind you, is there anywhere in Switzerland that isn’t nice?) though our day didn’t quite go to plan. Check out the video below to see what we got up to. And in case you’re worried, Andrea is healing up fine after sustaining a broken writs and dislocated collarbone. Get well soon ASSOS Man! Up Next. What should I eat for bike racing?